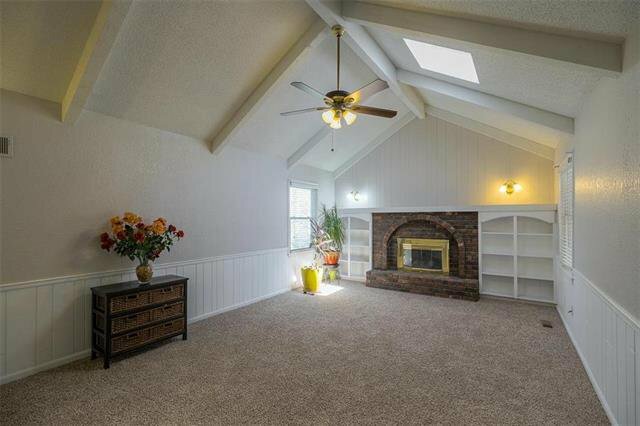 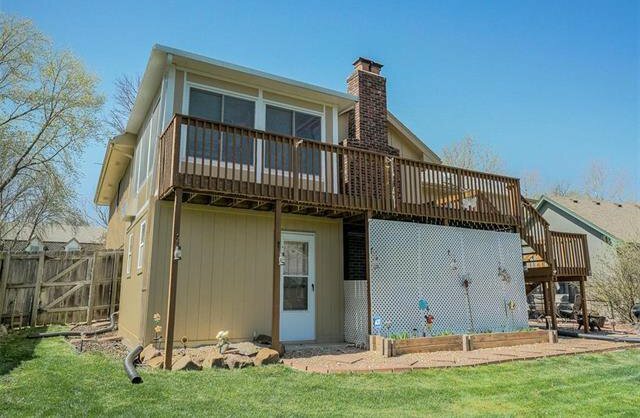 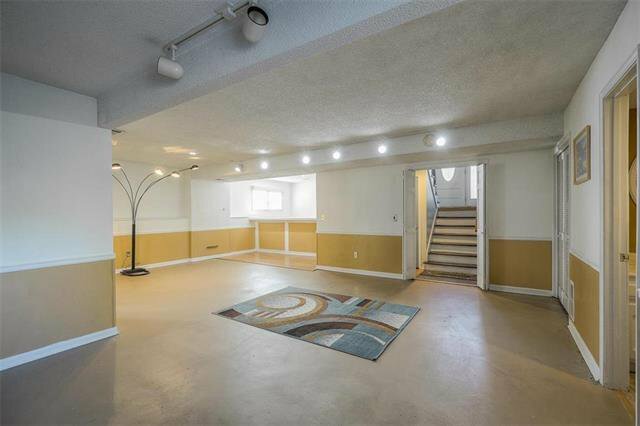 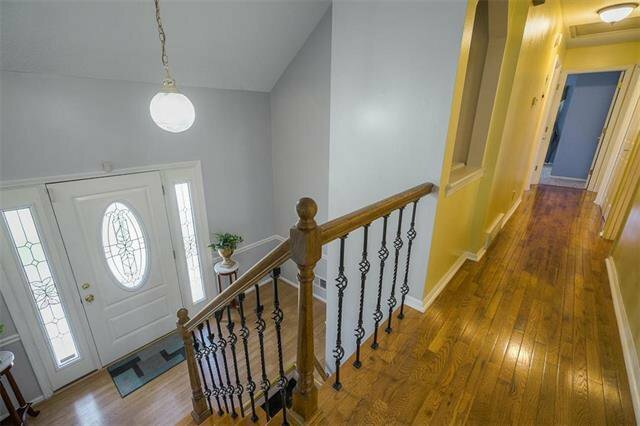 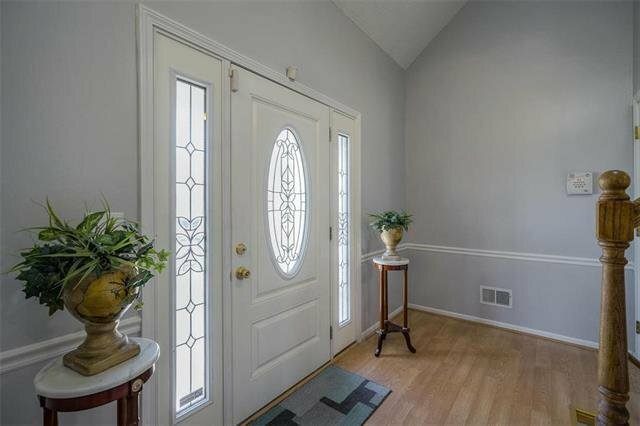 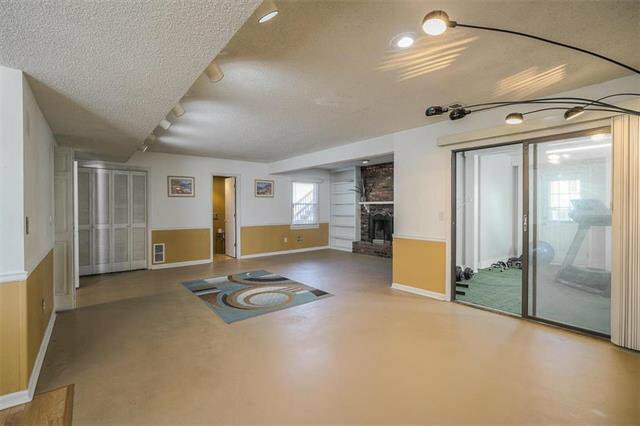 Ready to move in wide split entry in Brooktree with a beautiful lawn/landscape. 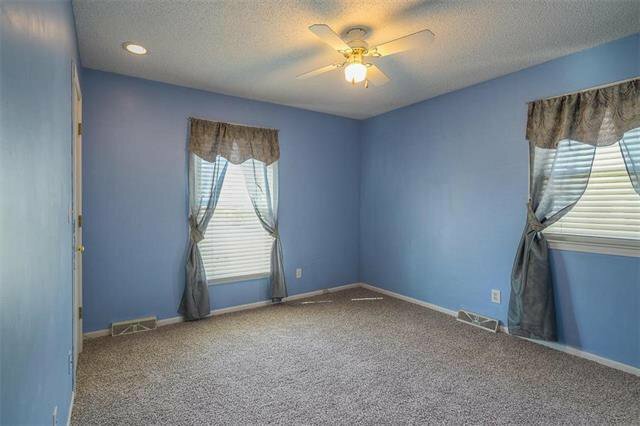 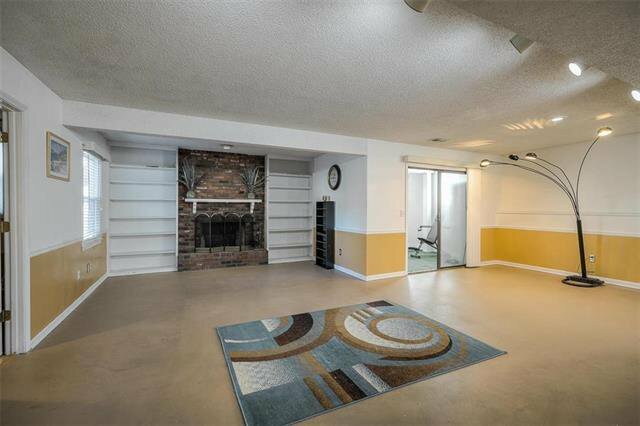 New Carpet in living room, bedroom & dining room. 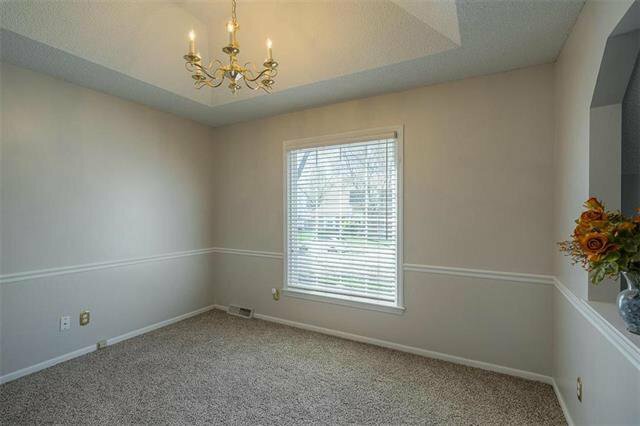 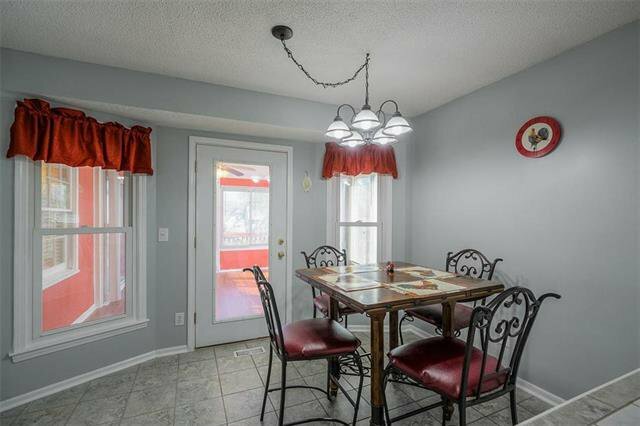 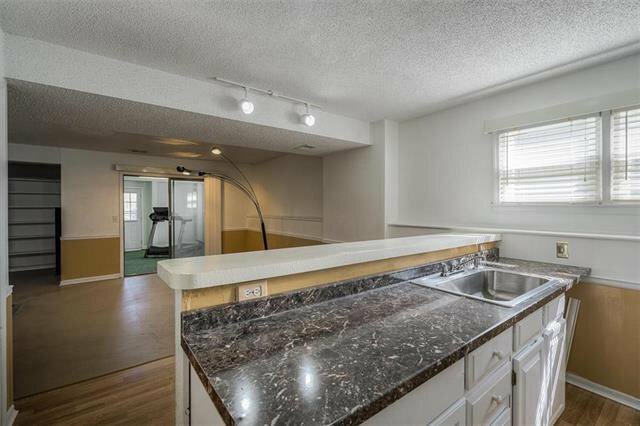 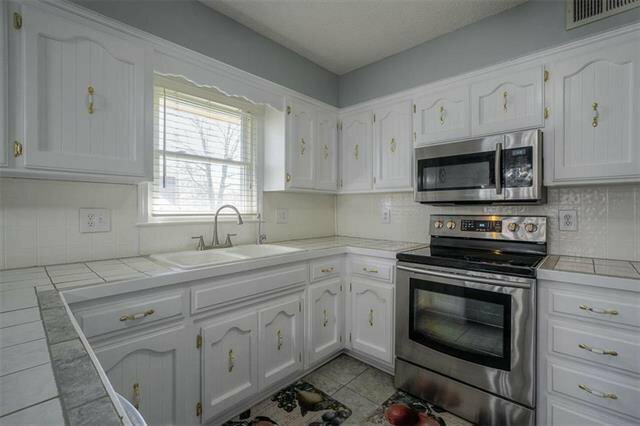 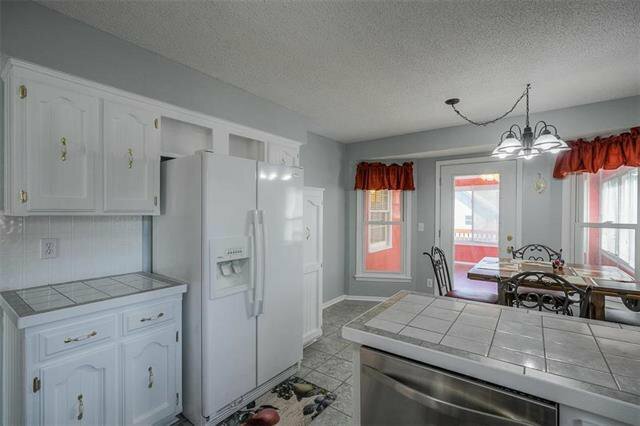 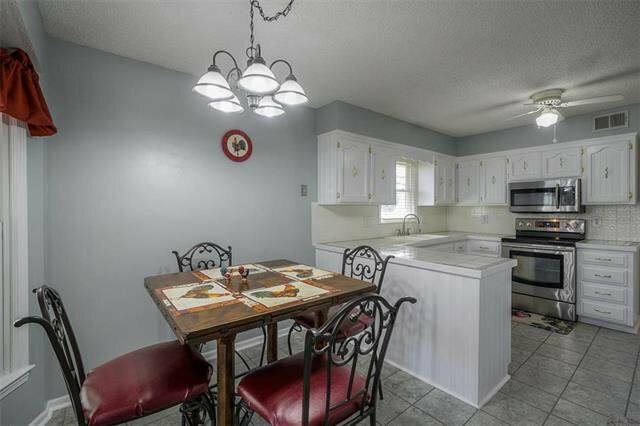 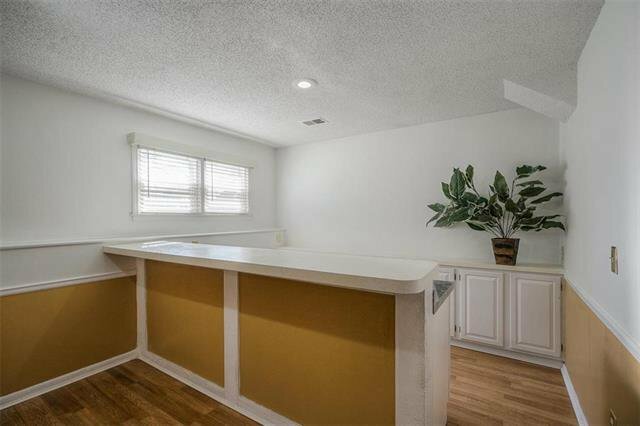 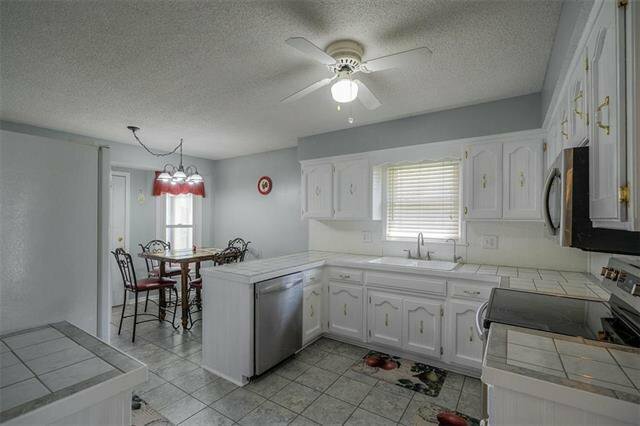 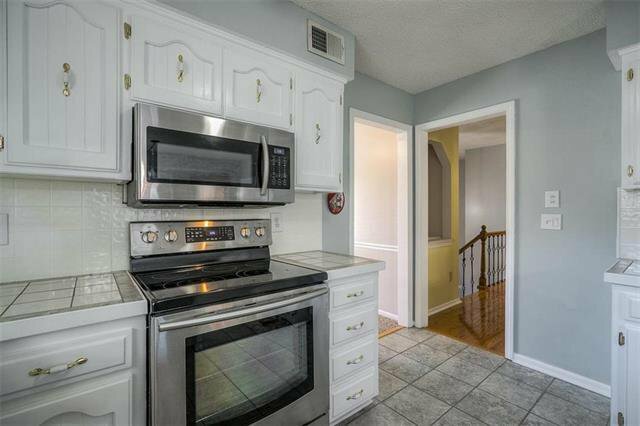 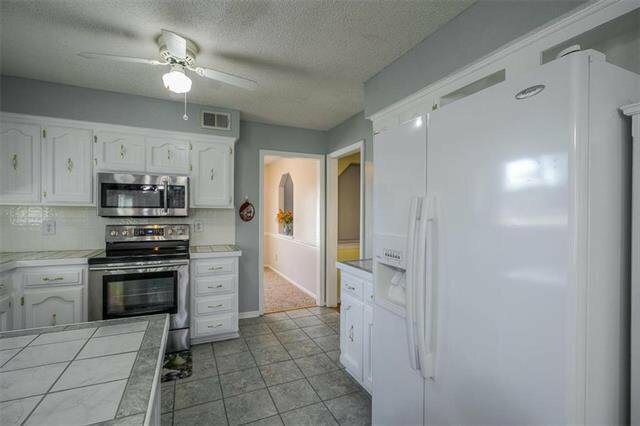 Kitchen has white painted cabinets, stainless appliances & refrigerator STAYS! 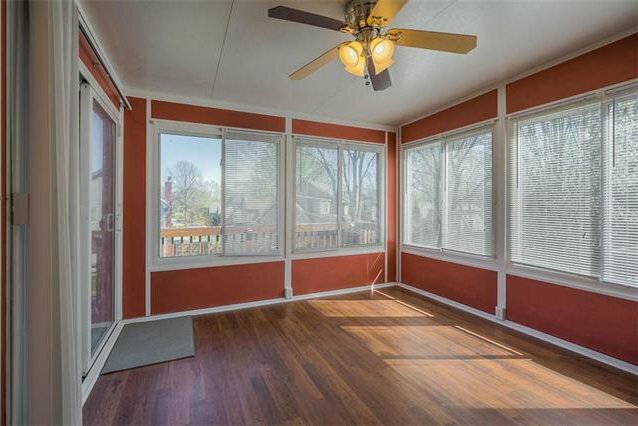 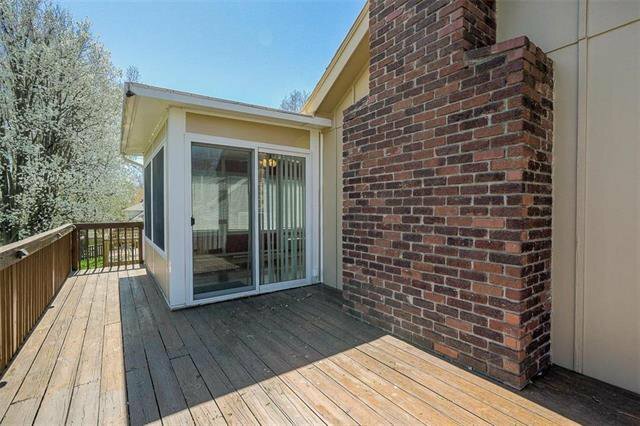 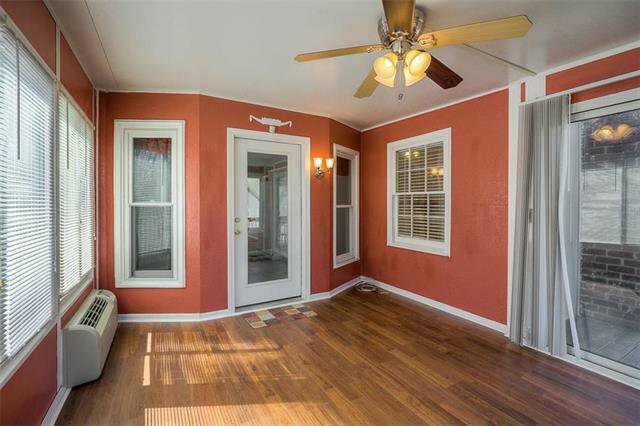 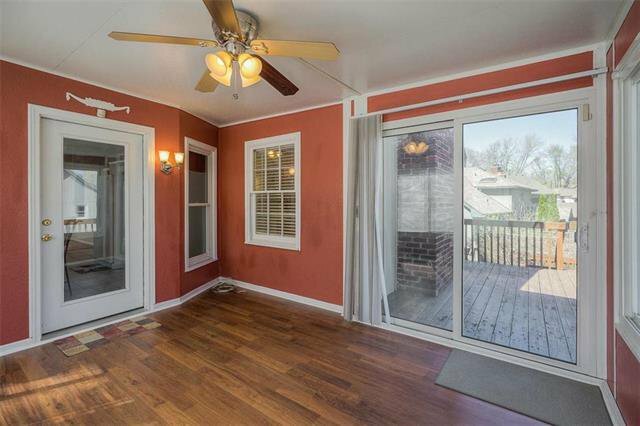 Sunroom off kitchen is heated and walks out to a large stained deck. 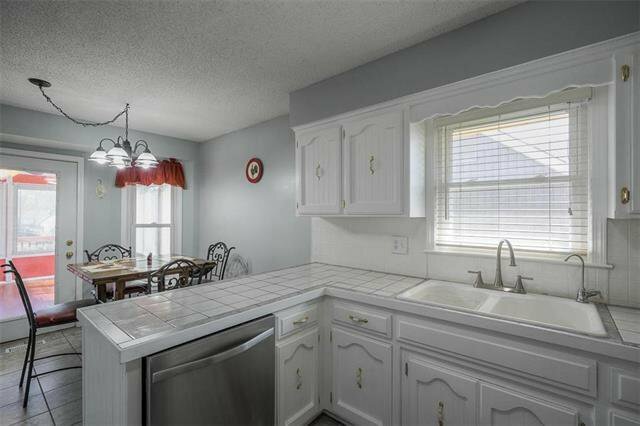 Main floor laundry in hallway. 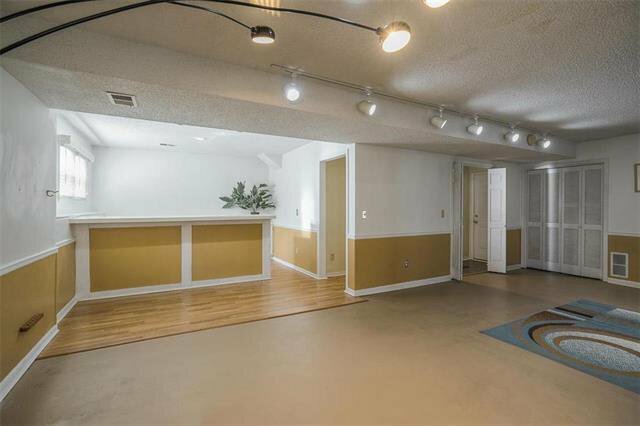 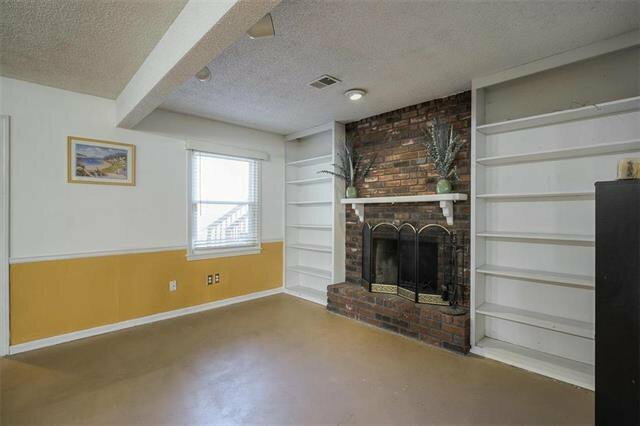 Basement is finished with a fireplace and bar area. 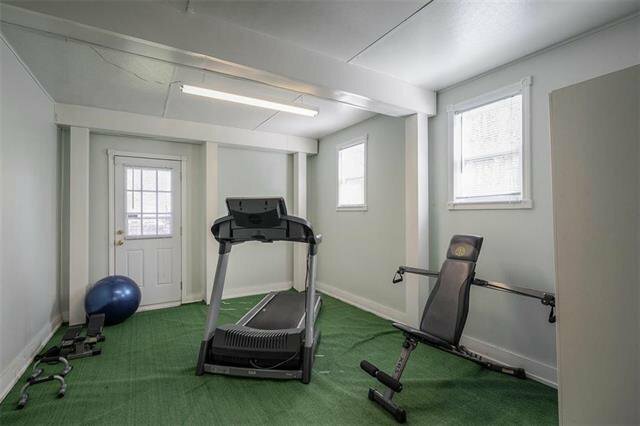 Walks out to a workout room then to the back yard. 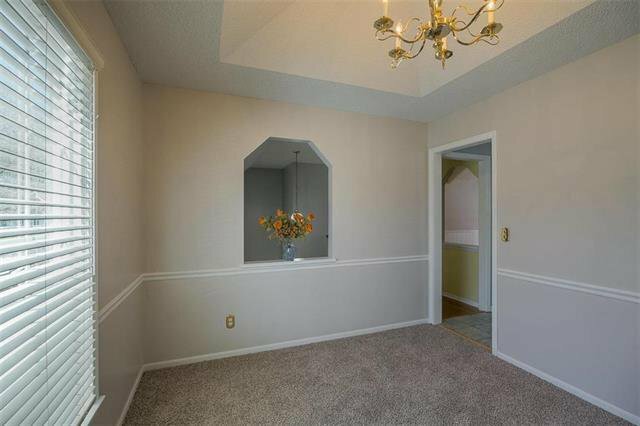 Hardwood flooring down the hall into master bedroom. 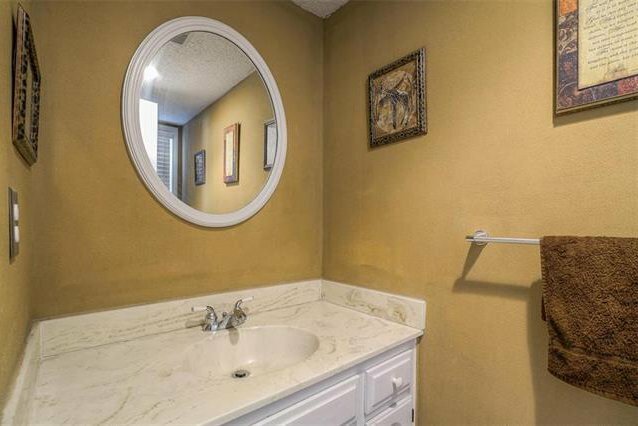 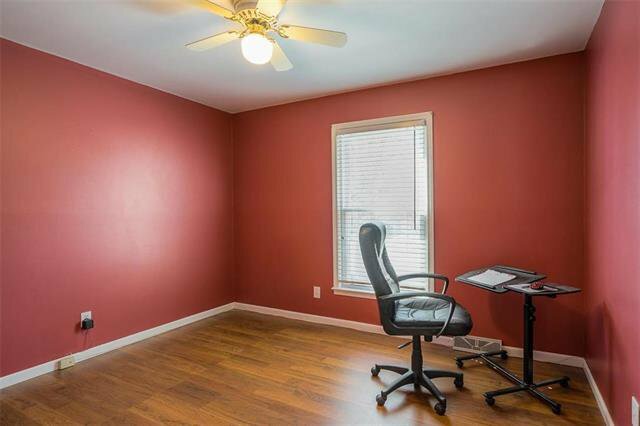 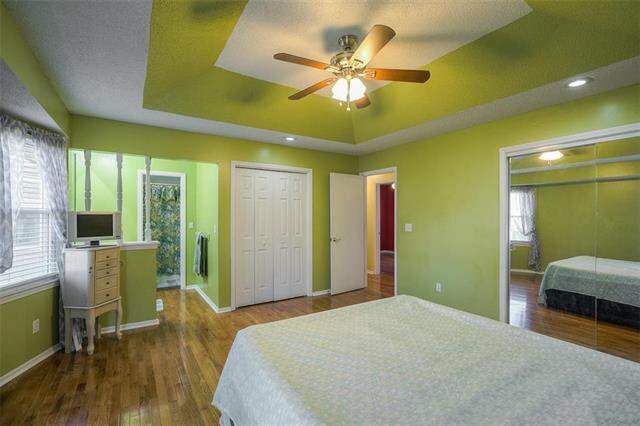 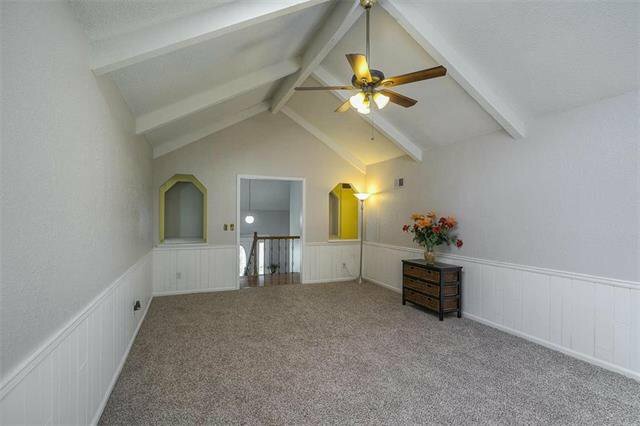 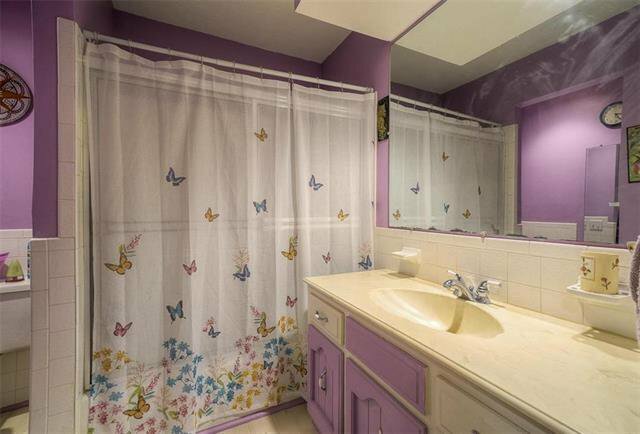 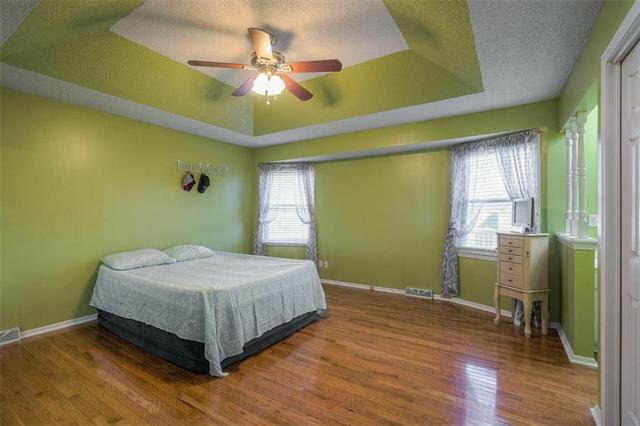 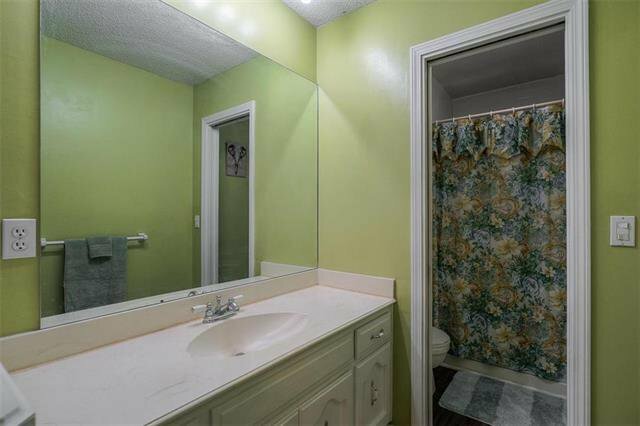 Full bath off master bedroom. 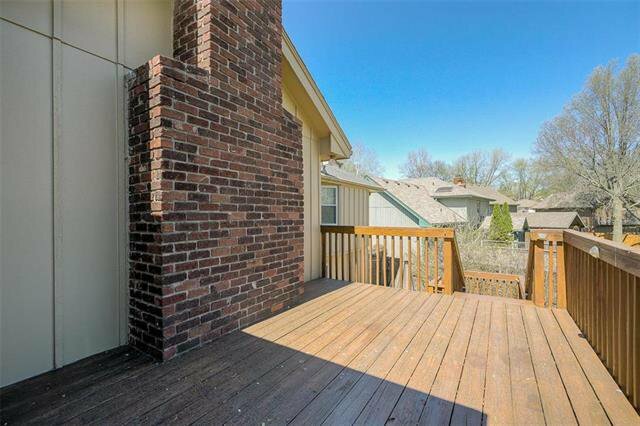 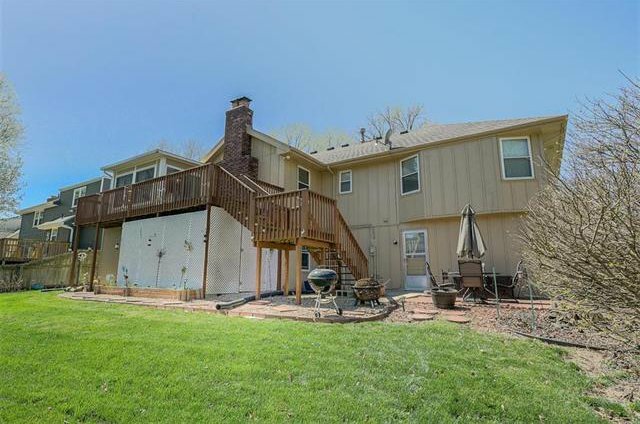 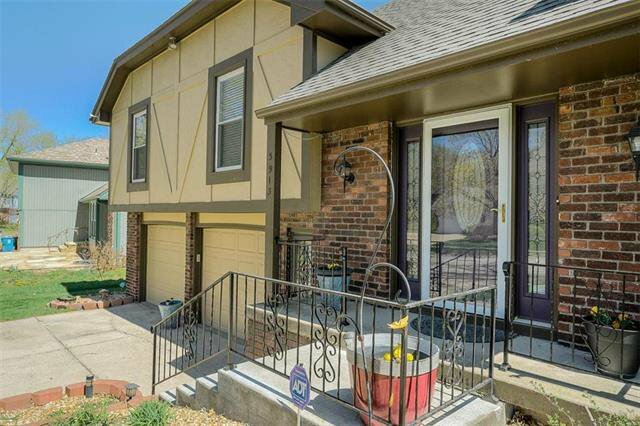 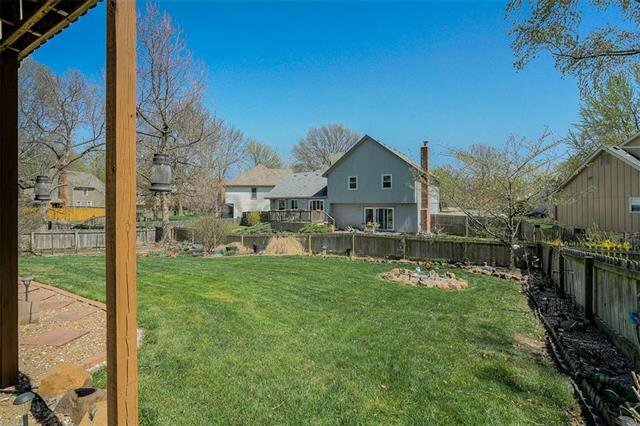 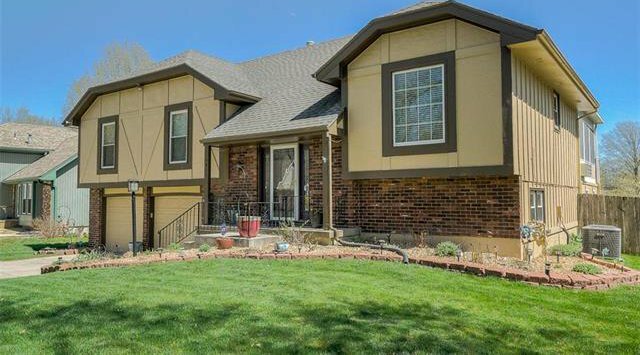 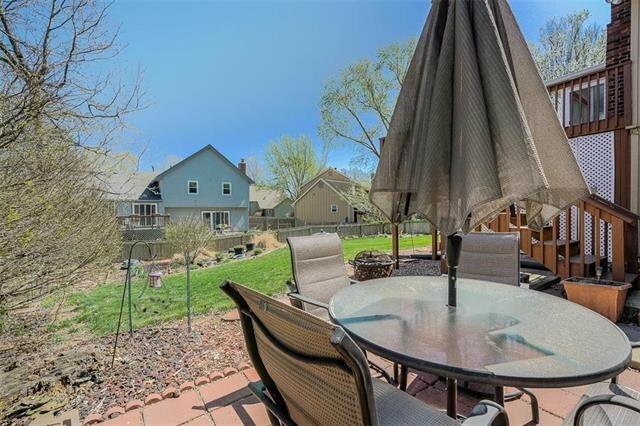 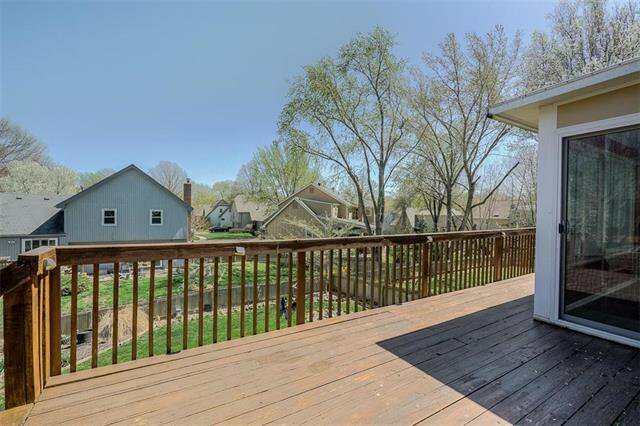 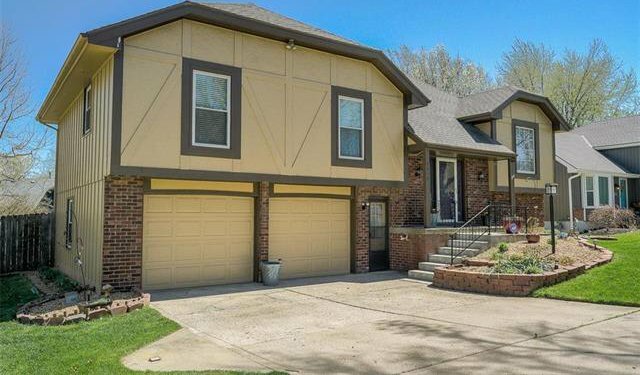 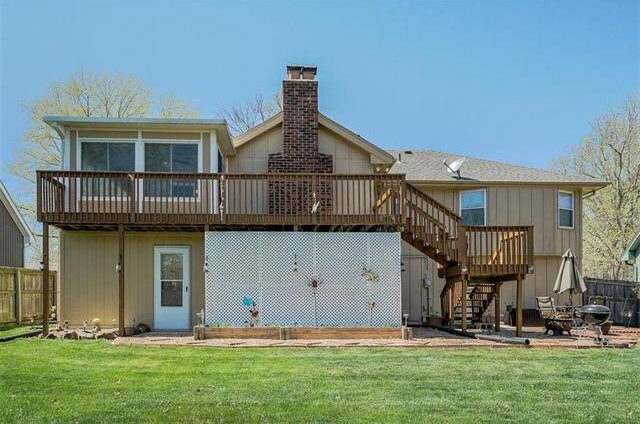 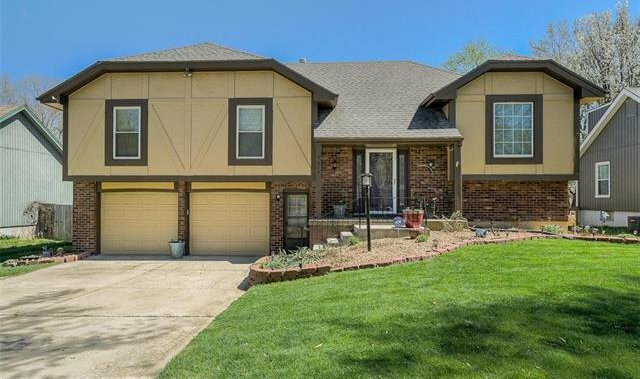 Listing courtesy of Lisa Larson of Realty Executives of KC.